Living in the Shadow of His Hand: Need an Umbrella? There was no way he was going. He didn’t care who it was asking! That was one trip he was not going to make! Instead he found a ship going as far away from the town of Nineveh as he could. He boarded a ship sailing to the town of Tarshish. Maybe it was the stress of the decision or perhaps it was the lack of sleep while God was urging him to travel to Nineveh. Either way he was exhausted, and Jonah fell sleep on the boat. He thought he’d escaped. God had not yet revealed himself to the people of Tarshish so it seemed the perfect destination to get away from God and His demands. But God was watching. The clouds darkened and settled above the boat. All light was gone from the sky. The seas began to roar and the waves crashed against the little boat harder with every breaking tide. The boat was rocking because Satan was knocking! By rejecting the authority of God, Jonah had set in place his own destruction. God had removed the umbrella of protection put over his prophet and Satan was at the gate - prepared to attack! The men in the boat were afraid for their lives. Though innocent of the crime committed, their lives had also been put in jeopardy! They were looking for places to hang on, looking for a way to stay afloat should their boat capsize. Then Jonah told them about his journey from God - his attempt to run. Jonah told them to “Pick me up and throw me into the sea; then the sea will become calm for you. For I know that this great tempest is because of me.” Jonah already he was wrong in running from Almighty God. His heart told him so! A child doesn’t disobey a parent without feeling guilt. 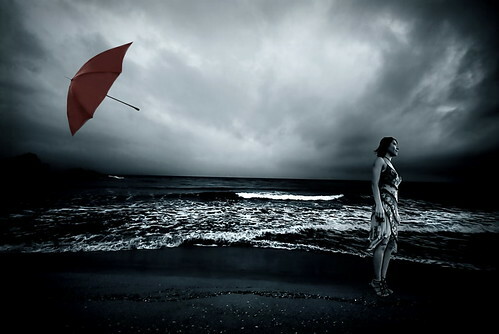 But now that God had removed the umbrella of protection, he was willing to repent, and admit his mistake. As soon as Jonah was thrown out of the boat – the seas became calm. Jonah had stopped running. He was no longer going to Tarshish. In fact, he wasn’t going anywhere unless God rescued him. But our Loving God always reaches out to us when we’re sinking. He, who forgives all our sins, had already prepared a fish big enough to become a traveling vessel, and inside its belly, Jonah traveled safely to shore. Just as a potter must bring the clay under his submission to make it useful, God has to bring us under his submission as well. When the clay refuses to be molded, it’s tossed aside. And then, it begins to dry out, to crumble, to lose its strength, and become nothing more than dust. If the potter does not return to the clay, it becomes completely useless. God uses different situations to mold us by the authority we allow him to have over us. When we rebel against that authority, we give place for Satan to enter into our lives. Satan is very familiar with rebellion! In fact, he led the heavenly rebellion that caused 1/3 of all the angels to be cast out of heaven with him. He knows how to orchestrate your rebellion as well. Just as he whispered into the ears of the angels he’ll whisper into yours! Friends, Satan is bold! He has nothing to lose and nothing to fear! He thought nothing of trying to tempt Jesus Christ in the wilderness, even thought he was completely aware who Jesus was. No, this was not their first meeting! Jesus was in Heaven when the rebellion began, and was with God when Satan and his minions were cast out. Yet, the fact that Jesus had full authority from God over Satan did not discourage him from trying to tempt Jesus. Don’t think he won’t come after you if you allow the umbrella of protection to be lifted through your insubordination to God! Resist the Devil and he will flee. Draw near to God, and he will draw near to you.